Stock up on hoover bags with multi-buy discounts! 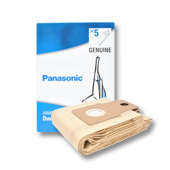 Get popular vacuum bags in a hurry! Welcome to BuyDustBags.co.uk, we have an extensive range of hoover bags and vacuum bags available to buy online or over the phone. 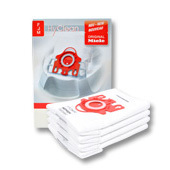 Our hoover bags range includes vacuum bags from all the major vacuum cleaner manufacturers including Miele vacuum bags, Electrolux vacuum bags and Panasonic vacuum bags as well as own-brand vacuum cleaner bags that are compatible with popular vacuum cleaners, like the Numatic Henry model - providing cheap vacuum bags for those on a budget. 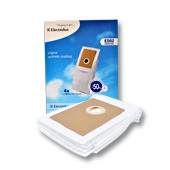 Our site makes it easy to find and buy replacement vacuum bags for your vacuum cleaner as well as other vacuum essentials like replacement filters and vacuum belts. When searching for the vacuum bags for your brand, remember that some manufacturers can refer to vacuum bags as dust bags, paper bags or even paper dust bags! Spare or extra vacuum bags are always worth keeping around the house. They can fill up quickly and you should always replace the vacuum bag when it's around 3/4 full to maintain your vacuum cleaners performance. 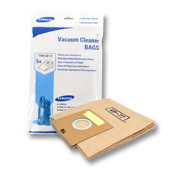 At BuyDustBags.co.uk we make it easy to stock up, with multi-buy discounts available on selected vacuum bags. You can order your hoover bags or vacuum bags online and get them the next day, with our next day delivery option. 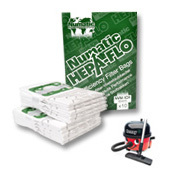 We stock all the most popular dust bags and vacuum bags including Henry hoover bags from Numatic, the always popular Miele FJM vacuum bag and Miele GN dust bags. Browse the site to find the vacuum cleaner bag you need or enter the bag code your vacuum cleaner requires. 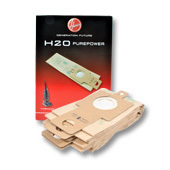 Popular vacuum bag codes in BSB50 and NVM-1CH.